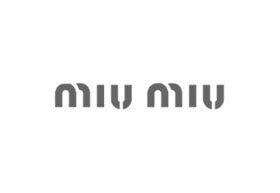 Stepping out of the immense shadow cast by a brand like Prada is no mean task but Miu Miu has not just achieved the impossible, but also done it in style! Although it was originally positioned as an accessories-intensive line that would support the Prada fashion range, in no time at all Miu Miu took the world by storm. The brand’s characteristic ‘rebellious’ fashion showcases creativity at its modern best. Miu Miu is a recent addition to the Prada brand umbrella, having been launched in 1993 by Miuccia Prada whose nickname the brand happens to borrow. Offering a stunning contrast to the minimalist look and feel favoured by Prada, Miu Miu is all about explosive style, colours, experiments with materials, finishes and sheens. The brand has redefined the term ‘edgy fashion’, made it cool and trendy to adopt metallic tones, pseudo mod prints and quirky fashion ideas. Miu Miu is the perfect choice for women who are not afraid to flaunt their style quotient and make a dramatic fashion statement. The retail store is known for its dramatic façades around the globe, and the one at Chadstone is no different. The experimental spirit of the brand shines through in its brick and mortar stores, and the ever-evolving sets flaunt a dramatic yet playful attitude that sets the perfect stage for shopping and dressing up! Located at the ground level, and close to the car park A, come experience the wonder of Miu Miu at Chadstone!